Ronald Edward Jones, age 70 of Homer, passed away Sunday, February 11, 2018, at Northridge Medical Center. Born in Gwinnett County on March 24, 1947, he was a son of the late Harold Jones and Elvira Rawlins Jones. 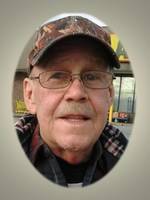 Mr. Jones was a retired electrician who enjoyed fishing, hunting, and camping. In addition to his parents, he was also preceded in death by his brothers, Donnie Jones and Ricky Jones; sister, Becky Crane; and granddaughter, Stephanie Angel Lynn Jones. Surviving are daughters and sons-in-law, Connie & Greg Fountain of Royston, Denise Gordon of Baldwin and Rhonda & Jamie Lewallen of Baldwin; sons, Stevie Jones of Homer and Ronald “Bubba” Jones, Jr. of Homer; sisters, Janie Wilkerson of Commerce, Sue Greason of Jefferson, Joyce Landress of Lawrenceville, and Faye Davis of Bethlehem; 13 grandchildren and eight great grandchildren. Memorial services are 2:00 pm Wednesday, February 14, 2018, at the Chapel of McGahee-Griffin & Stewart.